You might remember from this post when I backed the Bia watch on Kickstarter. They've been making great progress lately with production and they are getting really close to shipping. Last Wednesday, I had the opportunity to model for the Bia product insert and it was a blast! And of course the real highlight was meeting founder Cheryl - such an inspiration in both her business work ethic and athletic prowess. Now that I've had on the final version of the watch and seen the fun colors in person, I'm even more excited to receive my own when they ship. Although it's taken extra time, which is basically a given with start up endeavors especially when they involve hardware, it'll be worth the wait to make the product the best it can be. If you like it and haven't backed it yet, you can still reserve with earlier pricing on their home page. The photo shoot centered around Go stick placement; this is the stick that connects to GPS signals and talks to the watch, enabling the watch to be smaller and to have a normal watch battery. You can wear the Go stick many places, like in your pocket, clipped to your waist band, or in your water bottle/pack. Check out a couple of my fave photos! All photo credit goes to Bia, and I'm using these with permission. Being goofy with Cheryl, Go stick clipped to shorts! 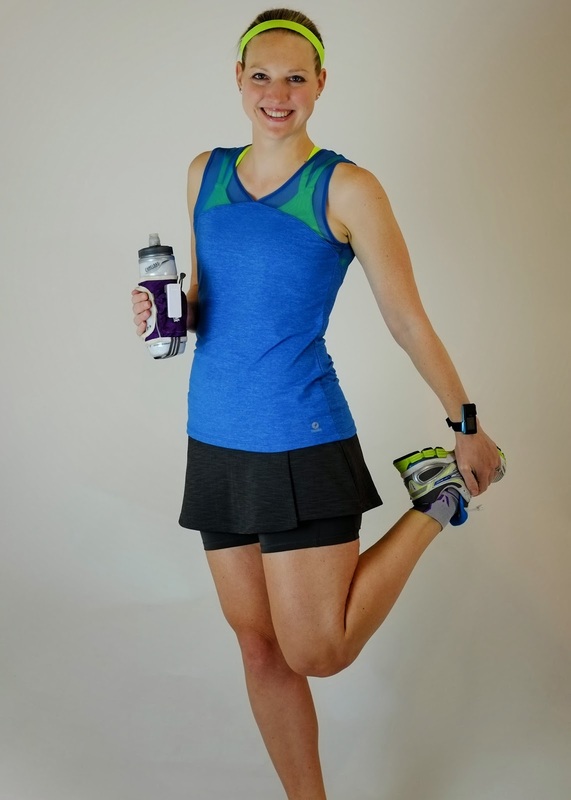 Oh, and you might notice some new Oiselle Spring '14 styles - I was pumped to show off the new tank and distance shorts in red! I love me some colorful run clothes. In other news, I made it up to running 2 miles at a time on Friday. I'm excited and super happy to be running even short distances. I've been surprised how happy it makes me even if it's not as far as I'd like to go. I still have some soreness and I won't be allowed on trails for quite some time, but it's minimal and PT is helping a lot. Fingers crossed adding distance continues to go well. I love that you got to do this! I am anxiously awaiting my Bia - did you get to test drive it? Or just model it?? Also, you look FABULOUS! Thank you! I tested early units, but not the recent ones. I can tell just from having the new one on that it's been improving though! Gorgeous! And I'm drooling over that tank. Thanks! I've never seen ^5 like that before, so fun. :) ^5! Really love the photos...you look great. 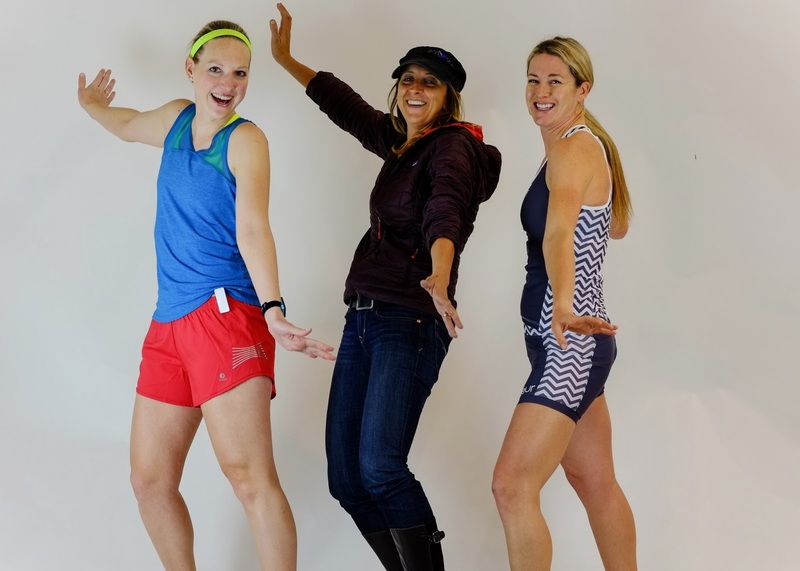 How fab that they use real runners as models! Glad you are starting to feel better, and slowly making it a few more miles. I always feel better when I can get in a good sweat from running even if it's short distances. Excited to hear more about the Bia as you get to use it! This is so cool! When I saw their call for models two weeks ago, I desperately wished I lived in the area! Thanks for sharing your experience and the photos - and making me that much more excited for mine to arrive!! !